First brewed in 1981, Celebration Ale is one of the earliest examples of an American-style IPA and one of the few hop-forward holiday beers. 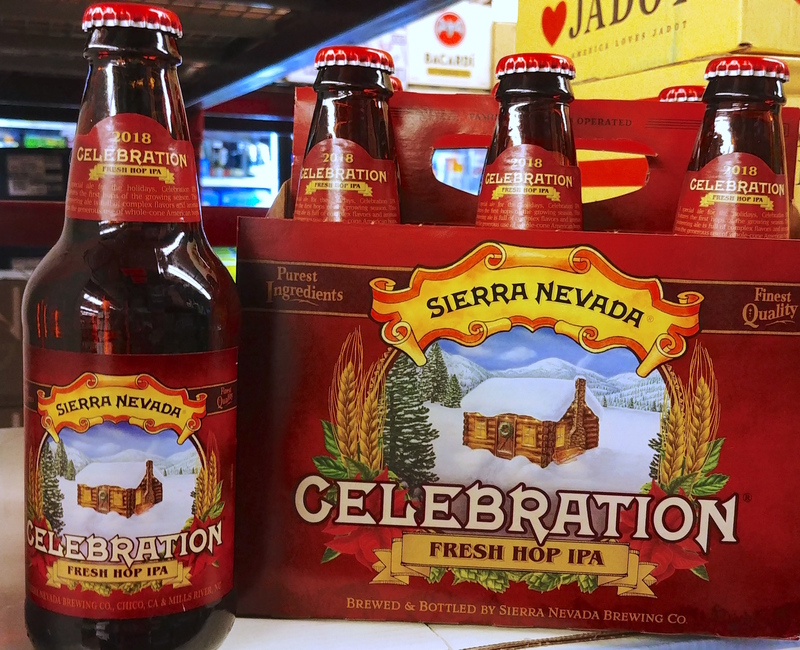 Famous for its intense citrus and pine aromas, Celebration is bold and intense, featuring Cascade, Centennial and Chinook hops- honoring everything we have at Sierra Nevada. Sold in 6 pack bottles for $8.39. Get them before Sierra stops making them for the season. Blend two Dogfish Head favorites, add maple syrup and carbonate the mixture naturally. This is how the 75 Minute IPA was born. 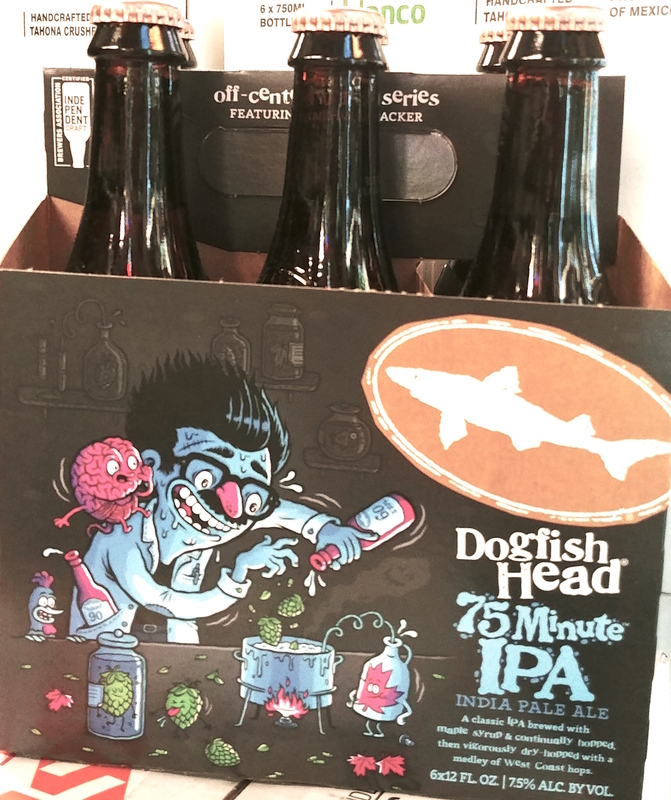 The carbon dioxide trapped during bottle conditioning gives 75 Minute IPA a soft and velvety mouthfeel. Dry-hopped with whole-leaf Cascades, this complex IPA has been known to inspire pilgrimages to our brewpub in MIlton, Delaware. 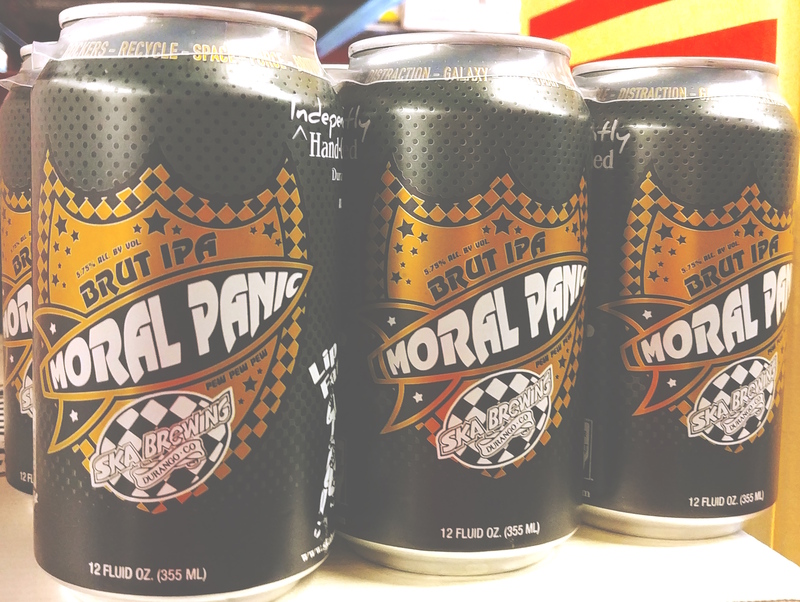 Pick up a 6 pack for $14.99. If your choice is available in more than one size, please specify which size when you call or come in to order. For pricing, please contact us directly. We are also able to special order a variety of domestic and import kegs. Contact the store directly and the staff can show you a list of other beer possibilities. ***These numbers do not include the actual beer or ice needed to keep the beer cold. Kept cold and allowed ample time to settle after setting up, kegs do not foam. Be sure to not over pressurize the keg with your tap. We are not obligated to refund money on a keg if the keg is foamy. Deposits are issued when rented items are returned. If the tap or keg shell are returned damaged or broken, or if we suspect the tap to no longer function as intended, you will lose the deposit monies on whatever is damaged. You break it, You buy it. This rarely happens but we have to put all this stuff in here to cover our ends. Take a look at this handy keg conversion chart to find out how many drinks you’ll get out of your keg. Please note these amounts do vary for a number of reasons, including (but not limited to) foam that results from jostling the keg.